The pickings are rich when it comes to celebrity car endorsements. Nobody blames a celebrity for agreeing to stand next to a shiny new model and smile in exchange for a free car for 12 months. We’d all do it but there are those for whom the ‘how has my career come to this’ look is palpable. See which of these you think fit that category. And still no Antony Costa. In fairness to James Martin he seems like a fairly normal, salt-of-the-earth-type northern bloke. Just one who happens to be able to knock out a sensational French onion soup. 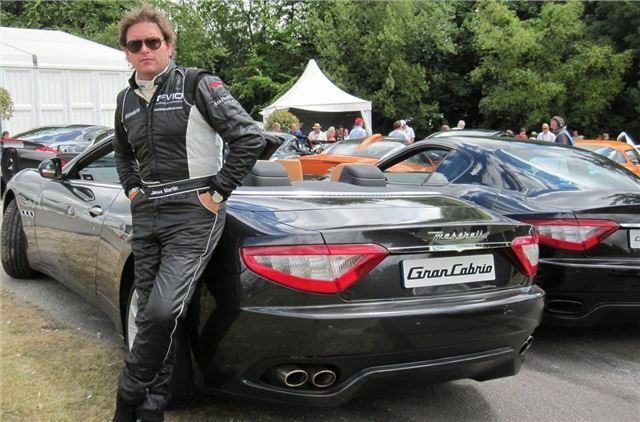 He’s also “int’ cars and that,” a fact that Maserati can’t seem to get over. Every time he steps out of his Yorkshire end-of-terrace, Maserati is there, desperate to document the event. The mysterious/annoyingly smug look is just a bonus.